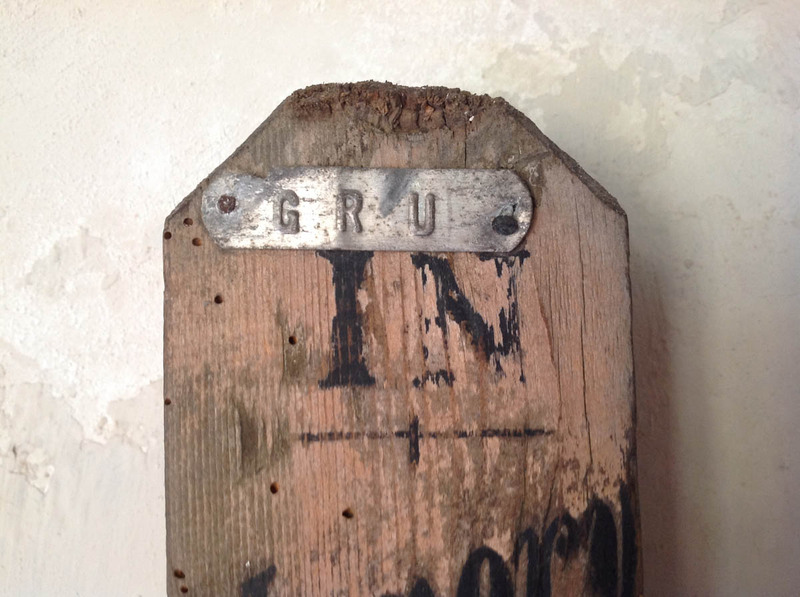 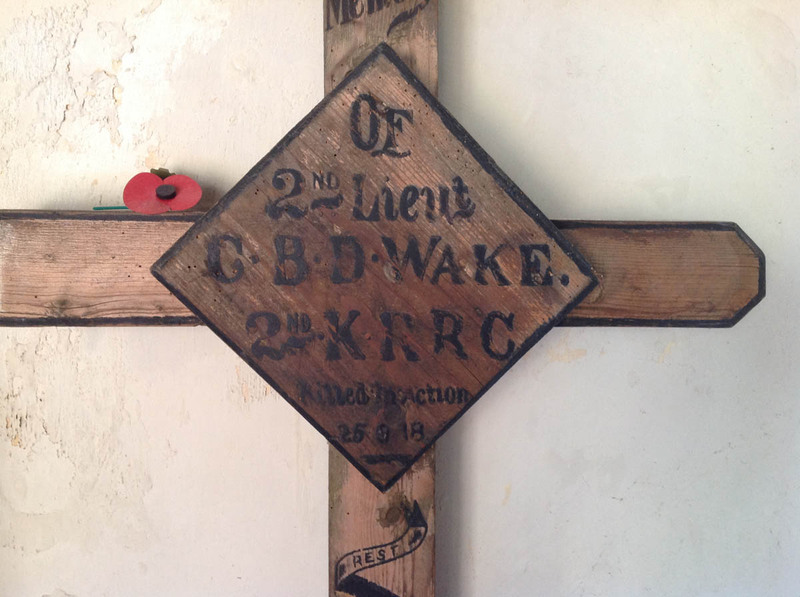 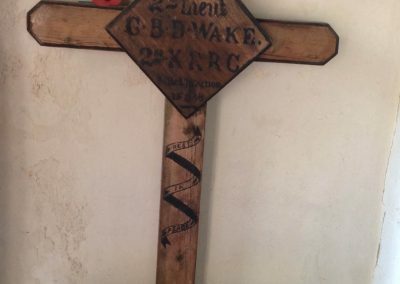 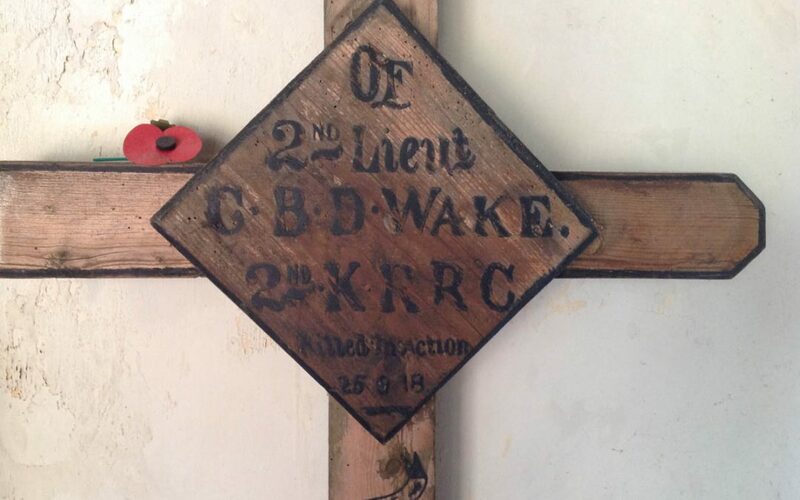 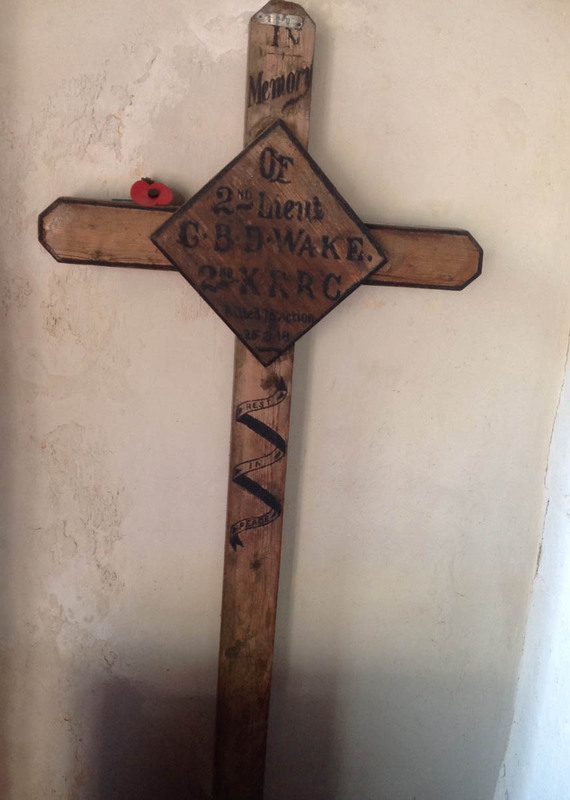 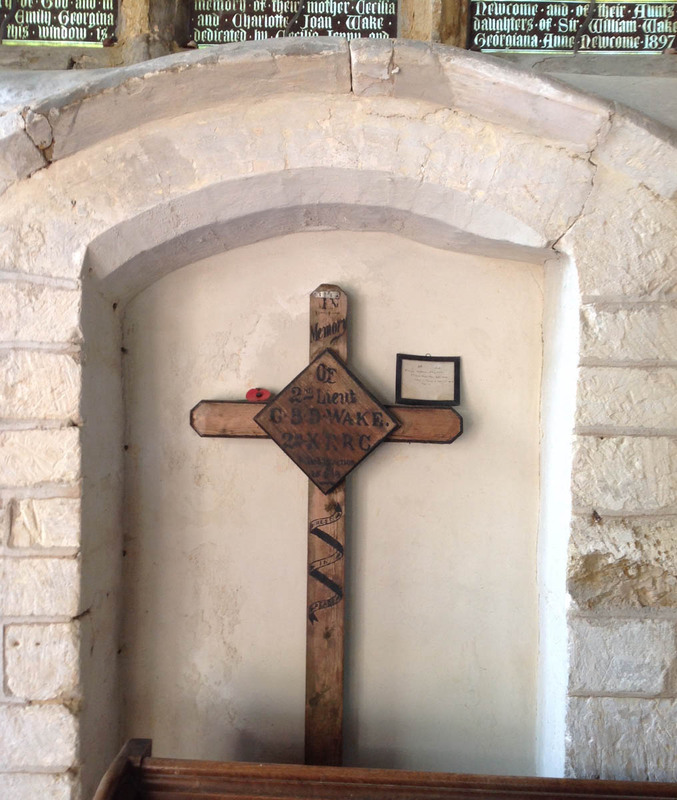 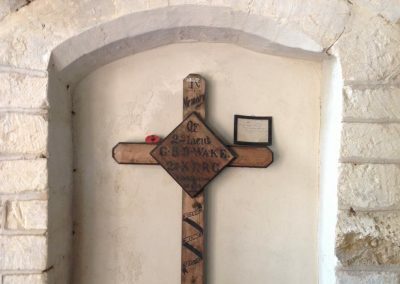 Mounting to wall: The cross is mounted into a base plate of wood: 815mm long and sits in an Alcove on the South wall of the Church behind the Choir Stalls. 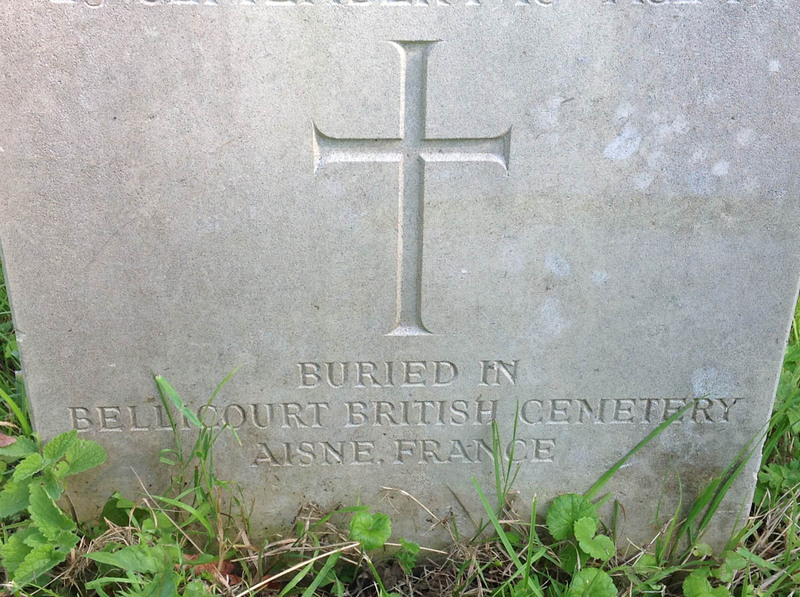 There is also a Headstone in the Churchyard. 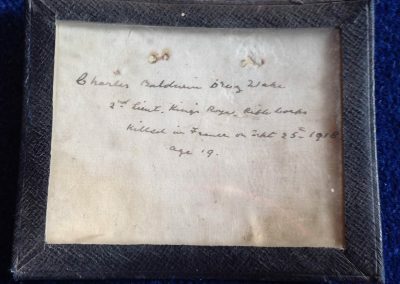 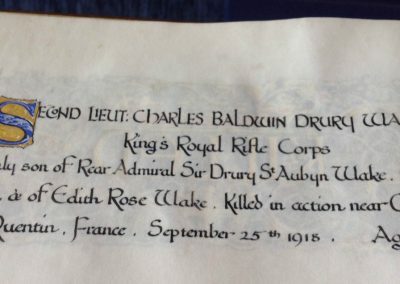 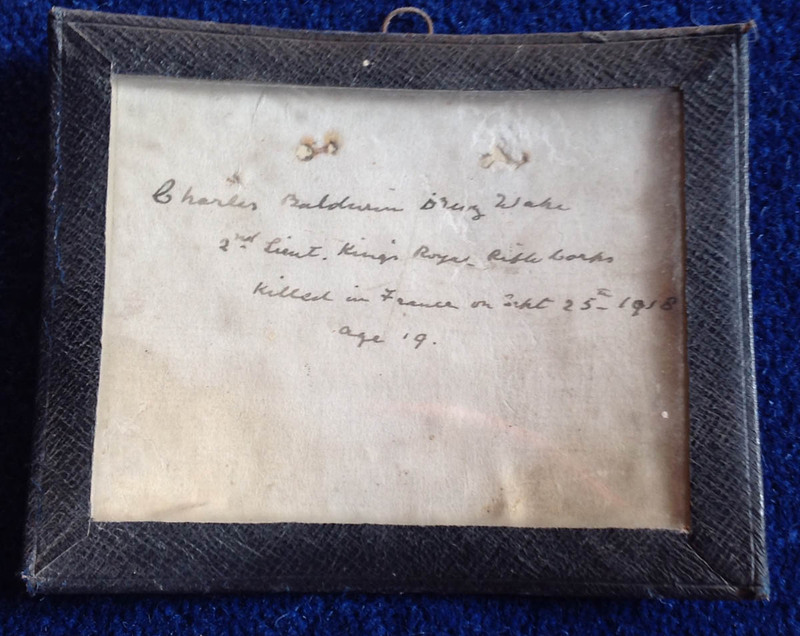 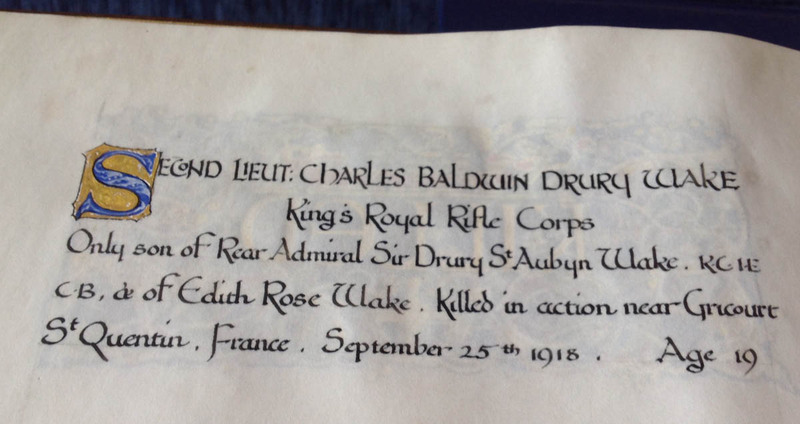 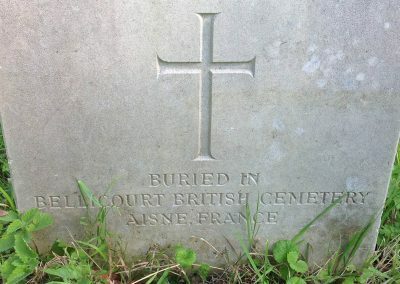 (This is in a very similar style to a CWG): The CWG can be located in Bellicourt British Cemetery on the Aisne, France. 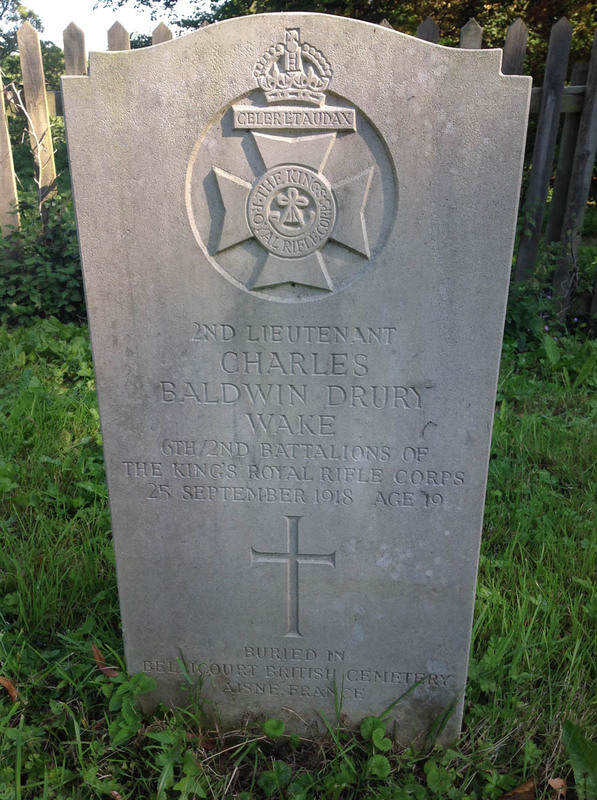 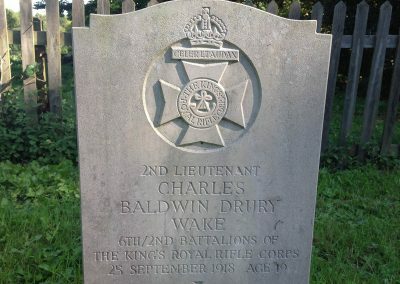 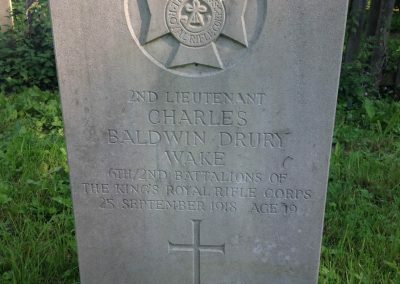 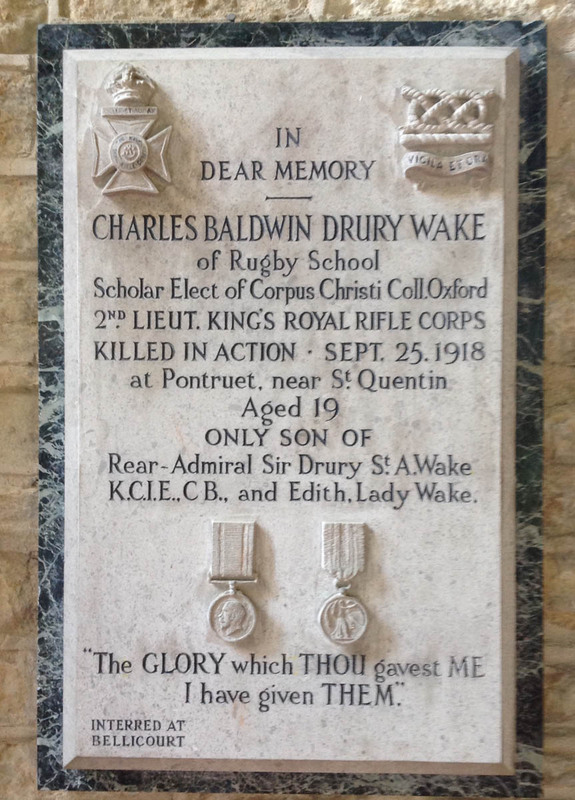 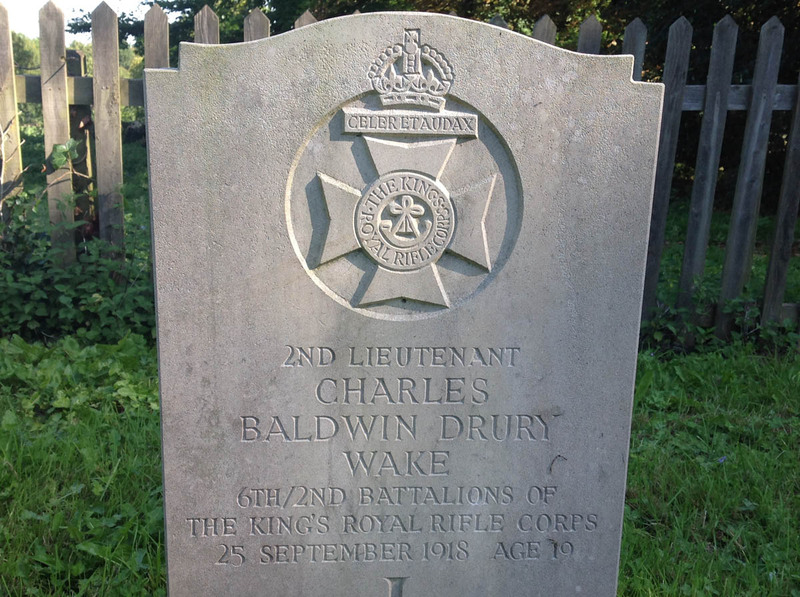 There is also a plaque dedicated to Lieut Wake on an inner wall of the Church (the South side) The Wake family has several plaques located on the inner Church walls. 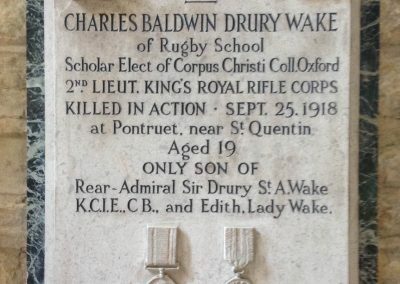 Further family information can be found on the internet.